Paradise Wildlife park is a family-run animal park in Broxbourne, Hertfordshire. In 1984 it saw the Sampson Family purchase the zoo to transform the zoo with the intention of re-housing the animals into larger enclosures which mimicked their natural habitats in order to make the animals as comfortable as possible. The team continue to research, expand and improve upon the animal’s living conditions. The Paradise Wildlife Park has built quite the reputation in through its conservation efforts which include The Wildlife Heritage Foundation who specialise in research and breeding of endangered species. The Sampson Family continue to facilitate an inclusive programme, with renovations to the site made to better accommodate and fulfil the needs of those with a disability. Vortex events continuously work with the Wildlife Park for all their AV installation systems in place, building a long standing relationship with the educational zoo. With the opening of their Amazon and Beyond exhibit housing Amazonian snakes, namely Optimus Prime the UK’s biggest Anaconda weighing at 93Kg’s. It is also home to a group of indigenous South American animals; Lemur Leaf Frogs, Piranha. False Water Cobra and a bearded Lizard. We at vortex events were luckily enough to install the sound systems for the exhibitions BEFORE all animals were housed. 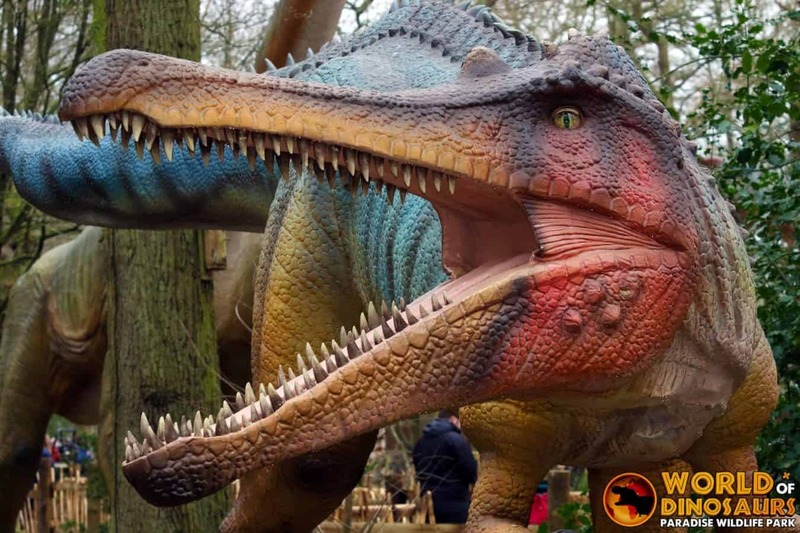 The World of Dinosaurs is a truly immense display that we were a part of the team bringing it to life. The enclosure features dinosaurs of different shapes and sizes. Sound systems were installed in each dinosaur in order to recreate the different roars that one emulates. As part of our growing relationship with the family run zoo we continue to provide general maintenance and upkeep and upgrades for the installations.